In 2018, the Royal Airforce will celebrate its 100th anniversary. 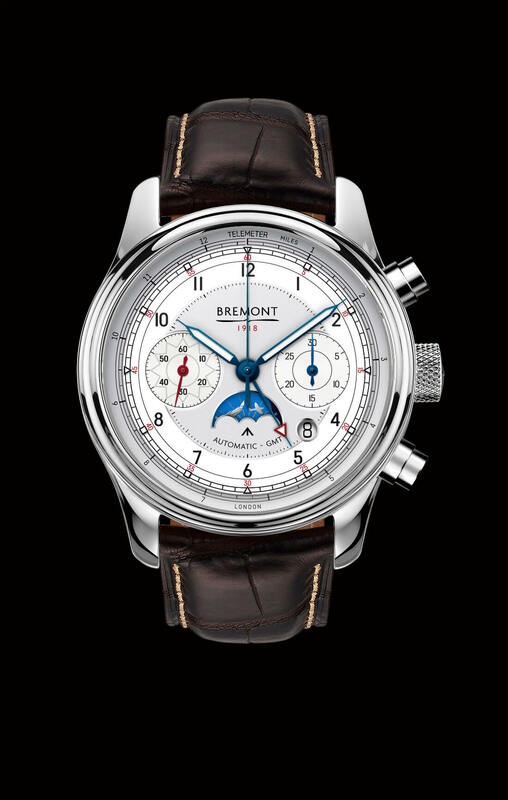 A brand founded on a love of aviation, it comes as no surprise that Bremont will commemorate this significant anniversary with the 1918 Limited Edition watch. 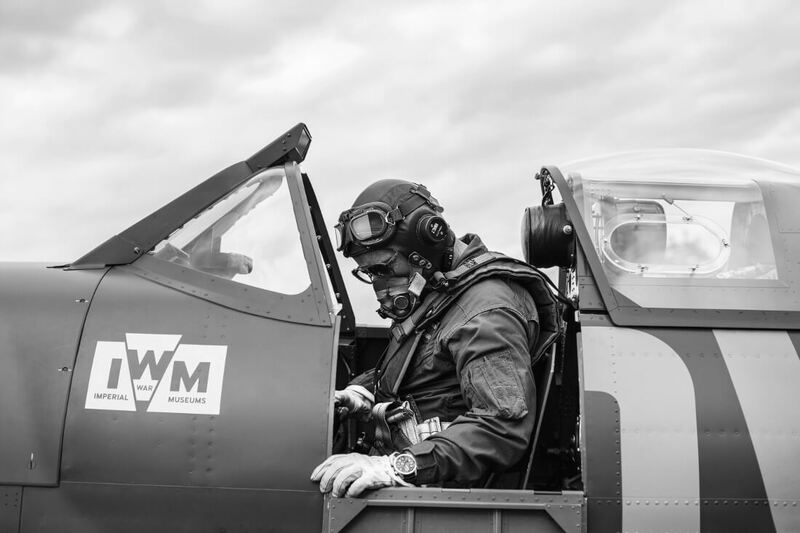 A percentage of the proceeds from the watch will go to the Royal Air Forces Association (RAFA), which has supported current and former RAF personnel for almost 90 years. 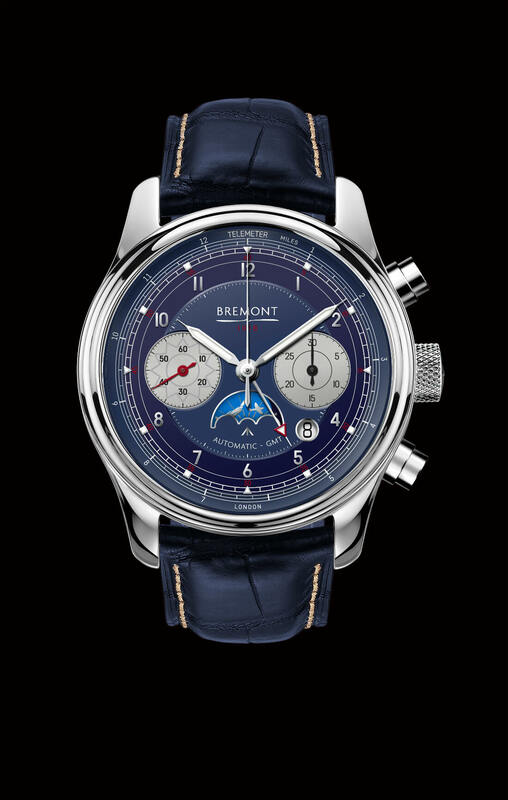 Continuing the tradition of the company’s Limited Edition range, the Bremont 1918 encapsulates RAF heritage. 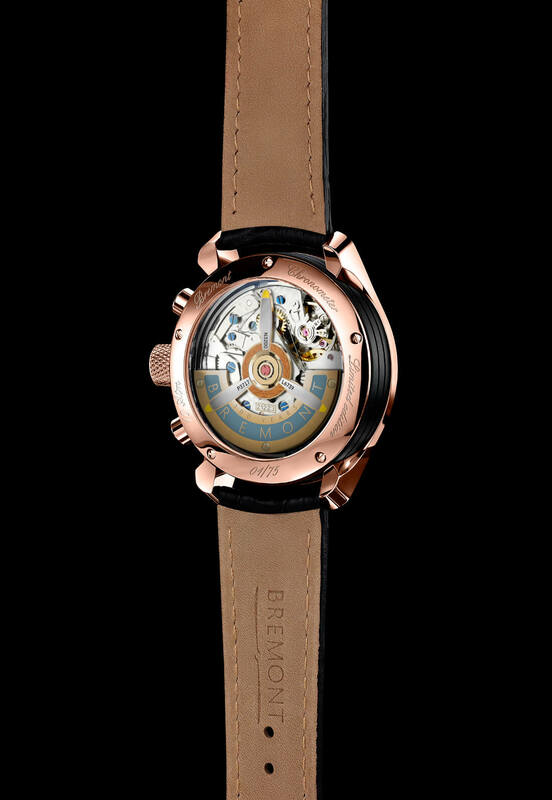 The watch’s rotor will include material from four historic aircraft which fought with the RAF during major campaigns of both world wars, and the am/pm indicator has been carefully designed to depict the Supermarine Spitfire dogfighting in the Battle of Britain during the day, and the Avro Lancaster bomber flying on a night mission lit up by search-lights. The incorporation of a telemeter, which allows the user to approximately measure the distance to an event that can be both seen and heard (e.g. 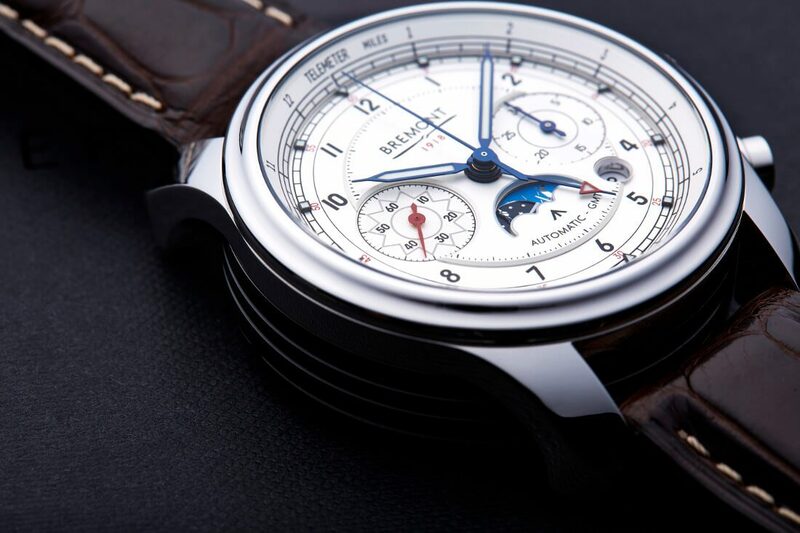 a lightning bolt or a torpedo strike) using the speed of sound, is another first for Bremont. 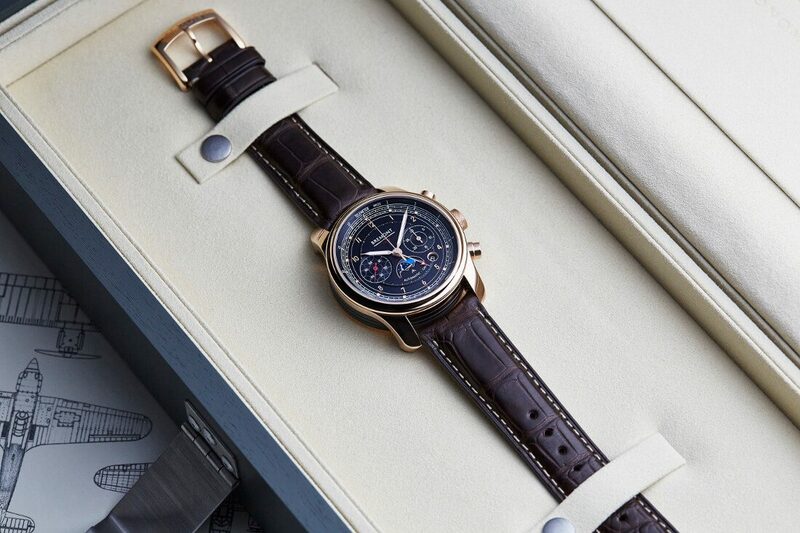 The 43mm watch case, available in white gold, rose gold and stainless steel, houses the BE- 16AE chronograph. 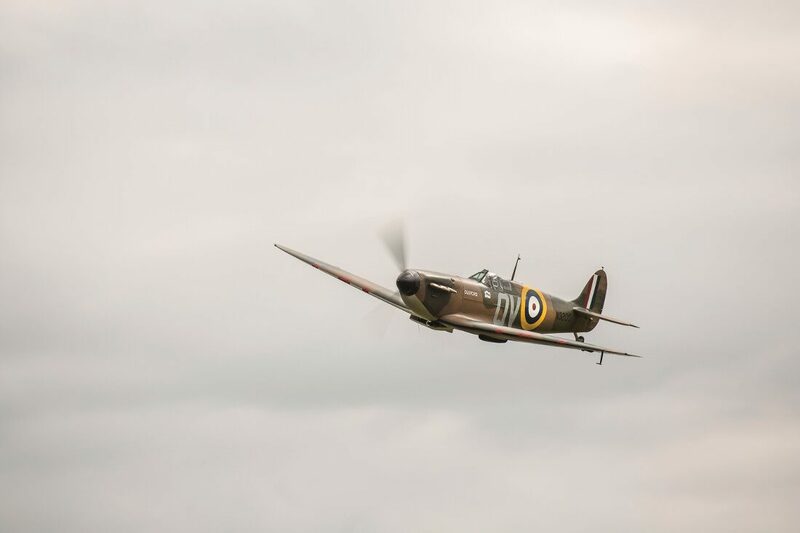 A Bristol Blenheim, a Supermarine Spitfire and a Hawker Hurricane that all flew during the summer of 1940 are incorporated into the watch- each of these Battle of Britain aircraft forms a propeller blade in the rotor. The movement of the Bremont can be seen through the open sapphire crystal case back.